Some of my favorite things are POUFS! 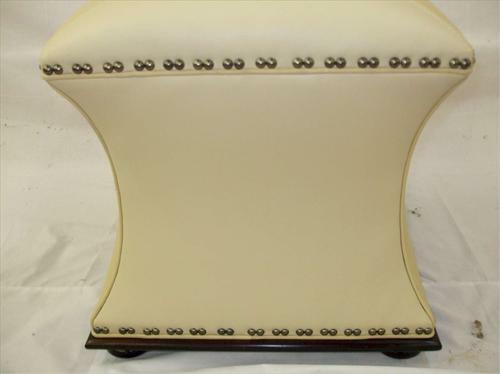 Below is the Charles Hassock collection from Hickory Chair. Each of these was custom made with amazing detail. Cool cord trim and tassels in the corners . Nail heads done in an interesting way; double nails spaced at ½” intervals. Two contrasting fabrics and a tassel fringe along the edge. The fourth has what is called hair on hide upholstered onto it. I love this one! Beauty is in the details! Do you have a favorite Pouf in your life? SHOW US! Please send pictures via comments.